Time is at a premium for any triathlete. Training for three different disciplines, warding off injury and making time for recovery all in addition to everyday life is a lot for anyone to take on. Although improving strength, increasing mobility and optimizing recovery are important they often take a back seat in the quest for faster race results. For that reason when incorporating another modality into your training regime it needs to be efficient. This is where a yoga practice designed for multi-sports athletes comes into play. A yoga practice designed based on the biomechanics, physiology and overall periodization of a sport is an extremely effective way to supplement your core training. You do not need to take an hour out of your day to include a sport-specific yoga practice and it can be as simple as doing just a few poses. So how can yoga help you optimize recovery? How is yoga different than stretching? There are many differences. The biggest being the way you work with your breath. By working with the breath you allow the parasympathetic nervous system (the side of your nervous system responsible for recovery and restoration) to activate. It also brings a mindful quality to your practice, which allows for not only physical recovery, but mental restoration as well. These poses are gentle and increase mobility as well as promote recovery. You should feel a stretching sensation, but stay away from forcing yourself into a pose. Instead think about allowing the body to come into the posture. There is no such thing as the perfect expression of a pose. Work with your individual range of motion and be patient with your ability to relax into the pose and the development of your mobility. Poses can be held anywhere from 30 seconds to a minute. As described these poses should not be done before another training session. They should be used either after a session or in a separate session focused on recovery or mobility. The poses have been chosen based on the demands placed upon triathletes as outlined below. Swimming - Lengthening and releasing through the back while increasing shoulder stability. Increasing mobility in the thoracic spine while opening through the chest and shoulders. Cycling - Lengthening and releasing through both the hamstrings and the quadriceps. Running – Opening the hips by lengthening and releasing the hip flexors as well as the glutes. One of the easiest and most efficient ways to incorporate yoga into your training is through the use of online classes. If you want to improve your performance by not only optimizing your recovery, but by improving your strength, mobility and body awareness Swimming-Specific Yoga programs are perfect for you. Swimming-Specific Yoga offers both online classes that are designed not only for swimmers, but multi-sport athletes as well. We will be offering five MCC athletes 15% off an individualized quarterly program. 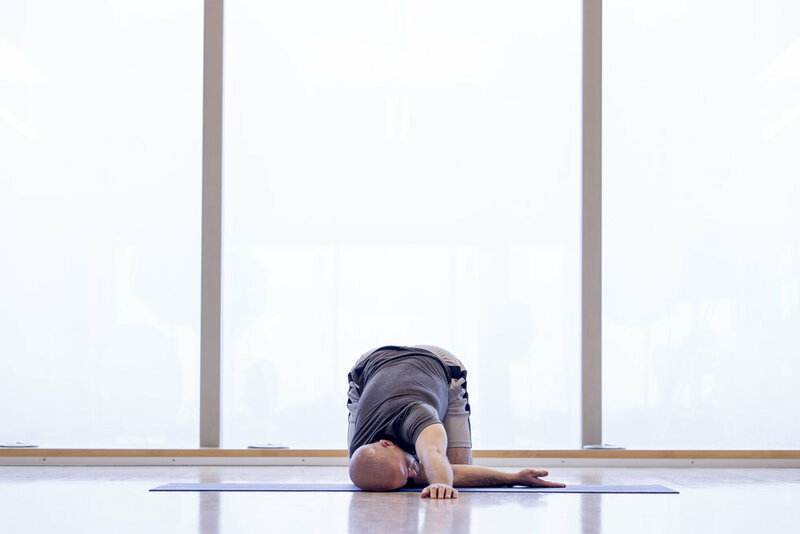 Jeff Grace is a certified yoga therapist who comes from a background in the sports of swimming and triathlon. He competed in both sports as an age grouper and was a full time coach for close to 20 years. 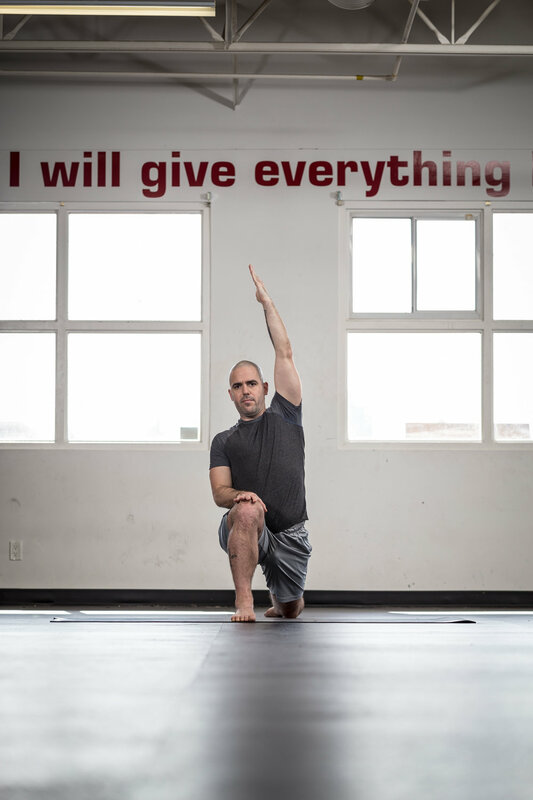 He specializes in teaching sport-specific yoga and continues to coach masters swimmers and triathletes.